Put your smelly sneakers in the washing machine with a half a cup of vinegar and some laundry detergent. 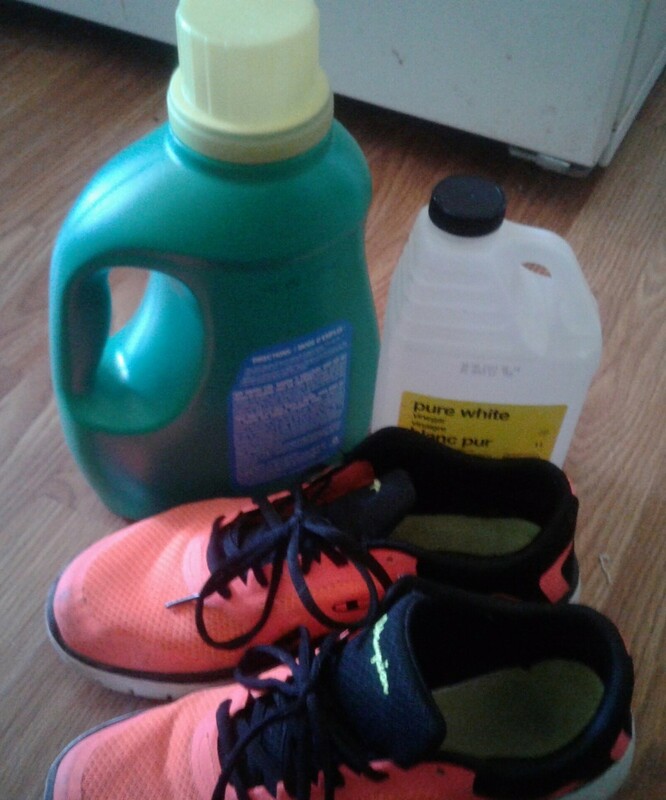 Fill the washer with water and allow sneakers to soak for 30 minutes. After 30 minutes wash as usual. The sneakers will come out odor free and smelling as good as new. You can also do this with any item that has a strong odor that can be put in a washing machine, like blankets, floor mats, clothes, etc.